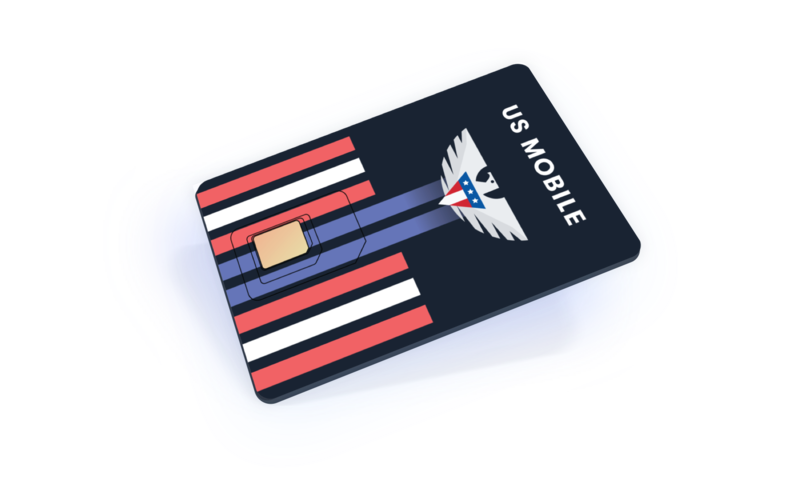 I am the CEO of US Mobile! I’m beyond excited to launch our brand new Super LTE network along with some amazing new plans, including unlimited data. Now we can truly serve any kind of user, regardless of device, habits or geography. This summer we announced that we’ll be launching on a second network. We’re so happy that the day has finally come! We will, of course, keep our GSM network. By having both, you will be able to choose which network that is the optimal for them depending on where you live, user habits etc. To separate them, we’re calling the new network “Super LTE”, and the GSM network will become “GSM LTE”. This will also be reflected in the new SIM cards. Lots of data, less talk, and text: Unlimited data + 100 min + 100 min, starting at just $35/month. 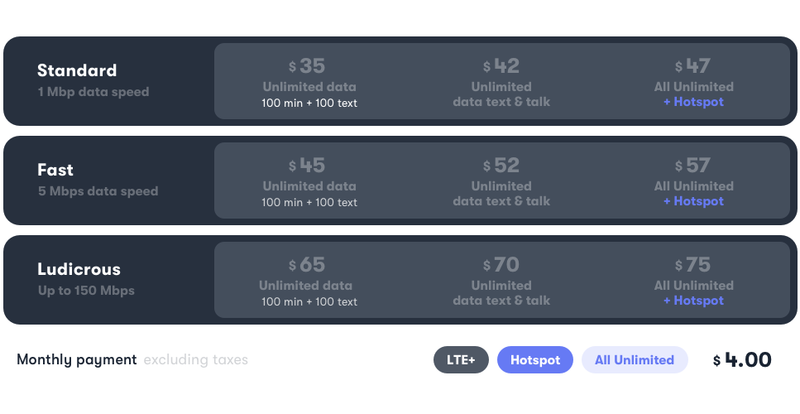 Everything plus hotspot: Unlimited talk, text, and data including hotspot. Unlike many other hotspots, this will be uncapped like the data speed. All plans come in three different speeds being Standard (1 Mbps), Fast (5 Mbps), and Ludicrous (uncapped). That way you can choose if a blazingly fast data speed is more important to you than saving a few bucks every month. For the user who doesn’t need unlimited data plans, we’ll also offer a plans matrix similar to the one we offer on the GSM LTE network. The Super LTE customizable plans will have a welcome addition of a small bucket containing 40 minutes, for just $2.50 per month and 1GB will only cost $11 per month. The Super LTE network is consistently rated the fastest and most reliable network in the country. The GSM LTE works best in urban areas with network ultra-fast data speeds in most cities. As always, coverage depends on where you are. That’s why we have partnered with the two best networks in America. So, no matter where you are you’ll get the best possible coverage with US Mobile. The Super LTE network will share many of the features with the GSM LTE network, like auto-pay and snooze functionality. Three new additions will be international calling, call forwarding, and visual voicemail. The latter means, a voicemail with a visual interface. Instead of listening to your voicemails, you’ll able to read them. You can also ump between different messages instead of sequential listening. A fourth feature will be the ability to control data speeds as described above in the plans. By lower data speeds, the total data usage will be lower. Want to know more about how? Head over to Is Faster and Better Quality Network Eating More Data? In the near future, we’ll also be adding HD and WiFi Calling to the mix. Compatible devices include all the mainstream Apple and Android phones, but less popular devices are not necessarily supported. The GSM LTE network is compatible with the most devices of any network in the country. In order to find out if your device is compatible or not you can test your phone in our IMEI checker.